Two Morningside dog owners say they are thrilled to be reunited with their pet, Shakira after she wentmissing 19 months ago. The scruffy timber wolf cross malamute was found at the Windsor Park Golf Course last Wednesday. Shakira went missing in September 2017 after being scared by a troop of monkeys. It's believed she survived by hunting for food and raiding rubbish bins at the gold course. 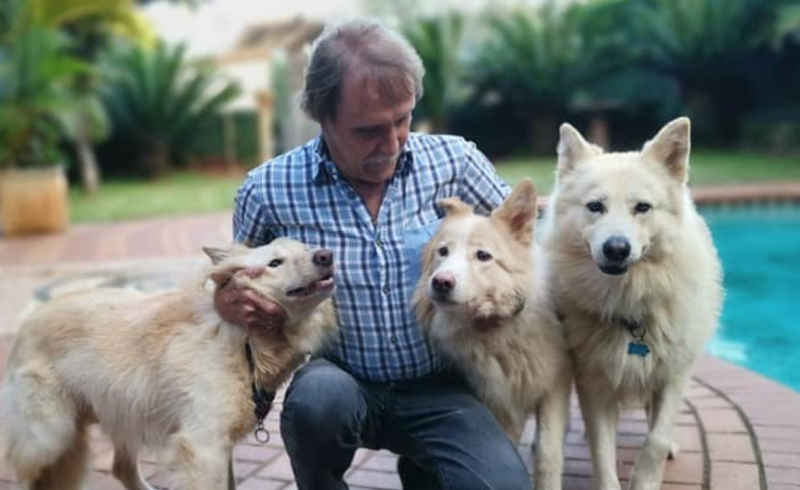 Her owners, Philip and Paula du Toit say they always remained hopeful that they would find her. "I've heard of people who lost a dog and then five years later - they got it back. So they keep looking. Not maybe as much in the last year or so - probably the amount of looking has gone down because you start giving up a bit. But you never give up all hope." Philip says Shakira - who they have had since a puppy - is back to her old cheerful self. "It's just happiness to get her back you know - and to find that she is still alive and well. The vet reckoned she was in remarkably good physical condition. Shaka and Shakira rebonded again. They are doing the normal things they used to do when she was still young. The other doggie thinks Shakira is another doggie to play with."